by Shannon Cowan, Christy Wilson, and Bill Austin; published by the Cowichan Community Land Trust (Cowichan Intertidal Stewardship Project) and the Marine Ecology Station. 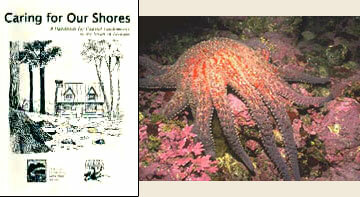 This is the online summary of Caring for Our Shores: A Handbook for Coastal Landowners in the Strait of Georgia. The handbook is written for private landowners living on marine waterfront who want to preserve and maintain a healthy seashore. It is an introduction to marine wildlife in the protected waters of the Strait of Georgia, British Columbia, Canada, and a look at some of the positive things we can do to protect the shore. Because waterfront property is an attractive place to live, many of our activities concentrate along the shoreline. The beach is a place to relax, to harvest wild foods, and to appreciate spiritual and aesthetic values. It is also a place where a delicate band of wildlife depends on a unique habitat for survival. This habitat–called the intertidal zone–can be very sensitive to activities that occur on adjacent lands. Taking care to protect this fragile place on the edge of our properties is a form of stewardship. Click here to see the Table of Contents and browse through some of the book. 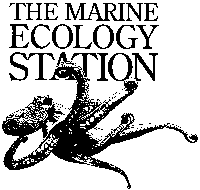 Visit the Intertidal Stewardship Project page to learn more about that project. Images used with special permission from Kerry L. Werry. 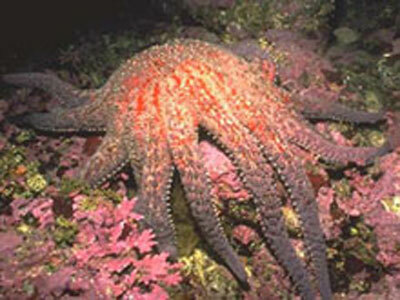 To view more pictures of ocean creatures found in B.C waters, visit the B.C Diving and Marine Life I.D Page.